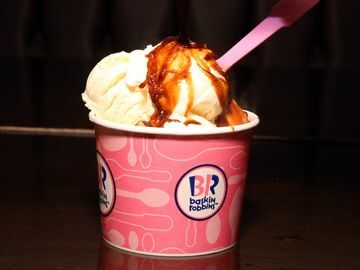 With our extensive selection of premium ice cream flavors, the milkshake possibilities at Baskin-Robbins truly are endless! Here at Baskin-Robbins we encourage you to become a “milkshake mixologist” and create new milkshake flavors by blending two of your favorite ice creams into one tasty shake. Interested? Love milkshakes? 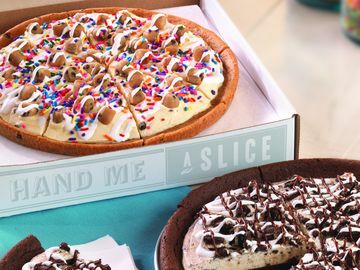 Check out the below video from the Baskin-Robbins culinary team! Our very own Chefs Steve, Sara and Nikki share their favorite milkshake flavor combinations and the inside scoop on becoming a Milkshake Mixologist. Don’t forget to share your favorite milkshake flavor combinations with us at Baskin-Robbins on Facebook, Twitter and Instagram using the hashtag #BRShakeItUp. Want to try a unique milkshake flavor combination for yourself? This St. Patrick’s Day, Baskin-Robbins guests will find themselves luckier than ever because at participating shops nationwide we’ll be offering a free sample of our Mint Chip ‘n OREO® Cookies Milkshake on Saturday, March 17 from 3PM-7PM. 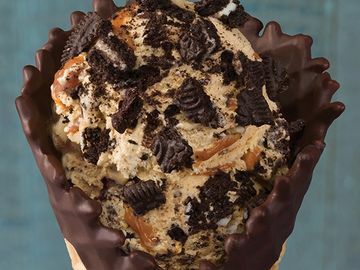 Baskin-Robbins struck gold with this milkshake flavor combination which is made with two of our most popular flavors – Mint Chocolate Chip and OREO® Cookies ‘n Cream - blended into a rich, minty treat that guests will love. Chocolate Covered Strawberry: World Class® Chocolate and Very Berry Strawberry ice creams come together to mimic this classic treat in every sip. 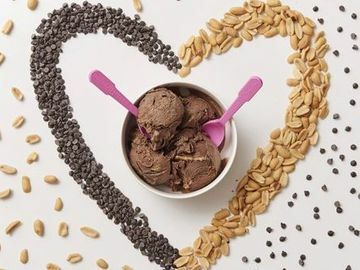 Caramel Nut Coffee: Combines two Baskin-Robbins favorites, Jamoca® Almond Fudge and Pralines ‘n Cream, into a delicious caramel nut coffee flavored milkshake. Cookie Dough and OREO® Cookies: The perfect option for all cookie-lovers in a mash-up of Chocolate Chip Cookie Dough and OREO® Cookies ‘n Cream ice cream. When you stop into Baskin-Robbins on St. Patrick’s Day for your free sample, be sure to pick up a St. Patrick’s Day Cake, decorated with green icing, a vibrant rainbow and a pot of gold. It’s perfect for any St. Patrick’s Day celebration! 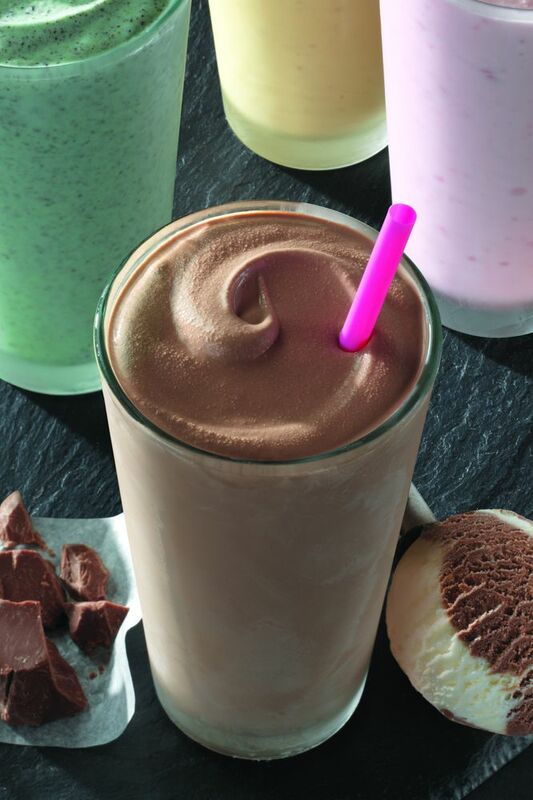 What is your favorite milkshake flavor combination? Let us know on Facebook, Twitter, and Instagram with #BRShakeItUp! *OREO is a trademark of Mondelez International group, used under license. 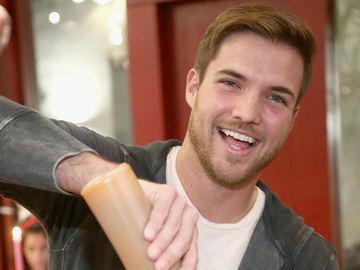 * The milkshakes made in this video were created in the Baskin-Robbins test kitchen for enjoyment by our chefs, and were not prepared for public consumption.